Vance-Granville Community College is offering a course designed specifically to help creative local residents with skills in arts and crafts to succeed as entrepreneurs. The “NC REAL Professional Craft Artists Entrepreneurship” program will be conducted at the Granville County Expo & Convention Center in Oxford on Tuesdays from 6 until 9 p.m., Feb. 9 through March 29. Topics that are particularly important to artists will be addressed, including guild membership, production, reaching a target market and participating in craft fairs and special events. Weary invites not only those who are just starting out, but also entrepreneurs who have had a business for up to three years. “This course will provide value to craft artists interested in turning their talents into profitable business ventures,” she said. Each participant will also receive free, one-on-one counseling as a client of the Small Business Center, which will help them take their ideas to the next level of business planning. The instructor will be M. Theresa Brown of Franklinton, a visual artist, small business owner and instructor for VGCC Personal Enrichment art classes. In 2015, VGCC offered this course for the first time, with the Vance County Regional Farmers Market serving as the location. After the course ended, three of the graduates — Jane Green of Oxford (“Colorful Creations”), artist Stephen Filarsky of Franklinton, and Renee Taylor of Macon (Taylor’s Crafts ‘N Treasures) — applied what they had learned by participating in the “Handcrafted Holiday Market” at the Farmers Market. 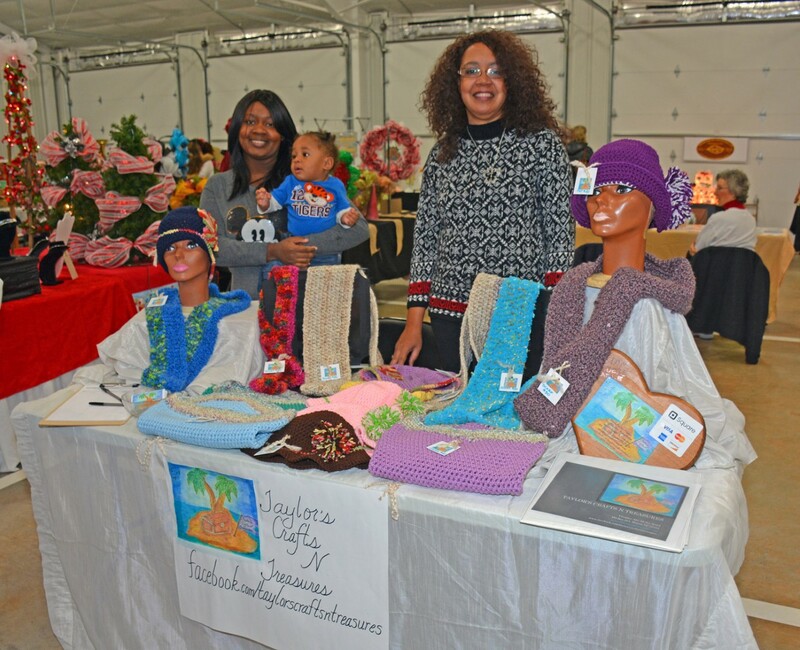 More than 500 people attended the market and purchased some items for sale by the craft artists. Taylor said that the market was a good experience, and that Brown had helped her prepare, providing her with “good tips and pointers, as well as support” and encouragement. “The class was invaluable to me and will help me, I think, in being successful in my art/craft business,” Taylor added. Tuition for the course is $70. The deadline to register is Feb. 1. For more information and to register, contact Tanya Weary at (252) 738-3240 or smallbusiness@vgcc.edu.